If one looks at the history of philosophy (Aristotle, Lucretius, Augustine, Montaigne, Malebranche, Locke, Leibniz, and Diderot, to name some crucial figures) the right way, monsters (not 'mythical' entities but rather those forms of life which we would now call biological anomalies, teratogenic accidents of embryogenesis, etc.) simply leap off the page. Whether out of a desire to understand biological reality, or a more metaphysical concern with asserting the ultimate truth of 'norms' and 'deviations' as manifest in Nature itself, philosophy's concern with the natural world is not reducible to debates about space and time, matter and force, or animal rights. A prominent feature here is the debates over form and species, on the one hand (especially in the period from the Renaissance to the early modern period), and on the mechanisms of generation, which we would now call development, on the other hand (from the early modern period to the late eighteenth century). 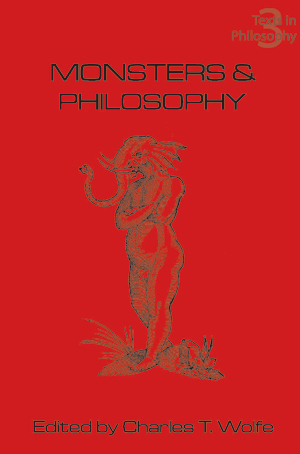 This collection of essays by prominent European and American scholars seeks to examine the cases when philosophy comes down into the biological realm and looks at problems like the existence of monsters.